Paperback from $19.6612 (used from around $19.00 – New from $102.00). 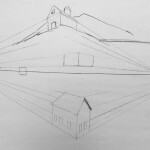 Maggie McClellan’s art books, “What’s It All About?” and “Secrets of the Obedient Brush” prompted me, as a mixed media artist, to ask myself several questions about my art work at this juncture in time. I was inspired by her to reaffirm my goals, my art process, my skills, style, and interests—past, present, and future. I wound up writing three pages of questions and answers. It provided a new clarity and allowed me to see the big picture going forward. The new series has been developed from the original Artist’s Express….I’m proud to say “NEW AND IMPROVED”. That’s because I’ve grown a lot since that book was published and have much more to share with you. The 3 books together are $75.00 (saving $5.00) plus tax and (nominal) shipping. Note:Workbook 4 and 5 are in the works. They’re about painting “loosely” in oils and and watercolor. They will show what to expect and what really works. Artist’s Express – Secrets of the Obedient Brush was published in 1990 and was highly acclaimed by Stephen Doughtry, editor (at that time) of American Artist magazine. The edition of 1000 sold out by word of mouth in 2 years. I still get requests for it and you can get a copy from Amazon.com: http://www.amazon.com/Artists-Express-Secrets-Obedient-Brush/dp/096239520X. This particular link has a price tag of $365.81 for the book! Wow. 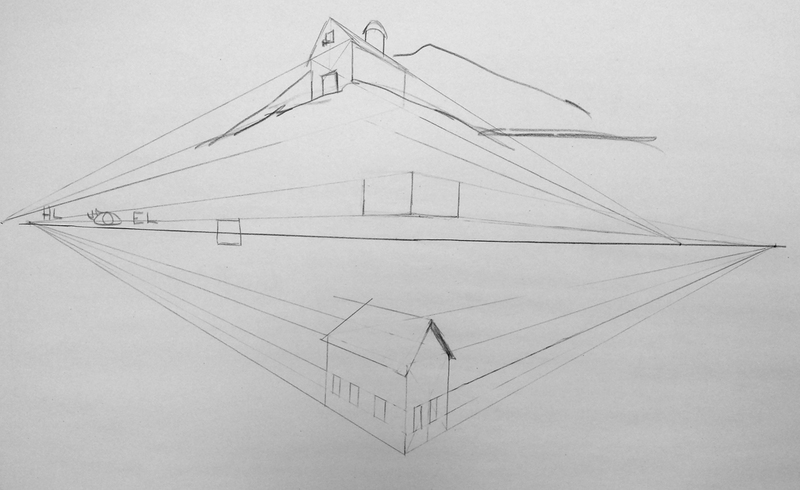 *Kitty is referring to Vanishing Point Perspective as shown in the image below. 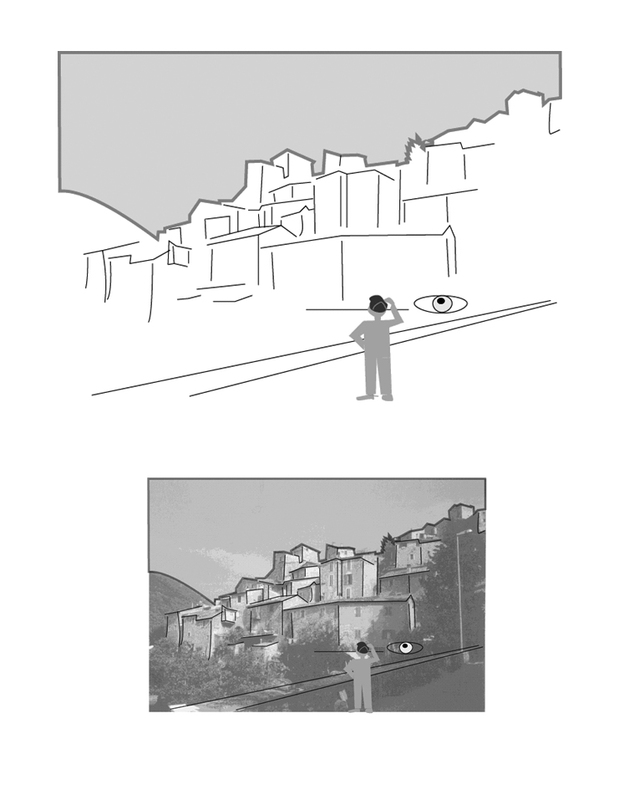 Below is the example of contour perspective as explained in my new series (pictured above) Workbook 1 – Drawing. You can get the book (really quickly) to see how I learned it and how I explain it. It works! It really does.